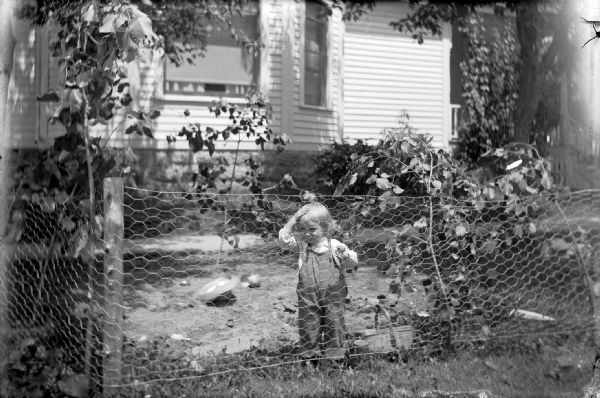 Dressed in overalls, young Robert Ansorge grips the links of a makeshift play pen fence with his left hand. His right hand is on his forehead, and he is looking through the chicken wire at the photographer. Behind Robert a straw hat lays overturned in the dirt. Otto Ansorge's house is in the background.